Learning Natural Child: All They Want to Do is Play. "I would really like to get to a point of having them find stuff they are interested in knowing and go for it. My son gets bored easily unless someone is completely immersed in play with him that he really likes-like Lego or a Pokémon card game." Joyce Fetteroll: It sounds like it's part of his personality. Do you take out the science stuff, board games, books, cool educational electronic gadgets, Lego, Play Mobil, and Tinkertoy worlds, etc. to do on your own? If not, is it reasonable to expect him to? My daughter is much like that. Most of the enjoyment comes not from the things but from sharing them with someone else. I suspect that's why you can often find unopened kits at garage sales. Not purely because school has sucked any enjoyment out of anything that looks educational, or because kids lack the imagination to play with them, but because the kids don't have a parent to share the adventure and discovery with. If you loved spending time doing things with your husband what would your thoughts towards him be if he were hoping you could learn to do things on your own? "I wish she read more and wrote more. She is too busy playing outside." JF: And in a few years she won't be able to play the way she does now, because she'll be too old! So whatever it is that kids get out of the playing they do as children, they need to do it now or it will be too late. She has the rest of her life to read and write. She only has now to play. Kids are the age they are for a reason, not because it hasn't been trained out of them yet. They need to be 3 to prepare them for 4, and 8 to prepare them to be 9. 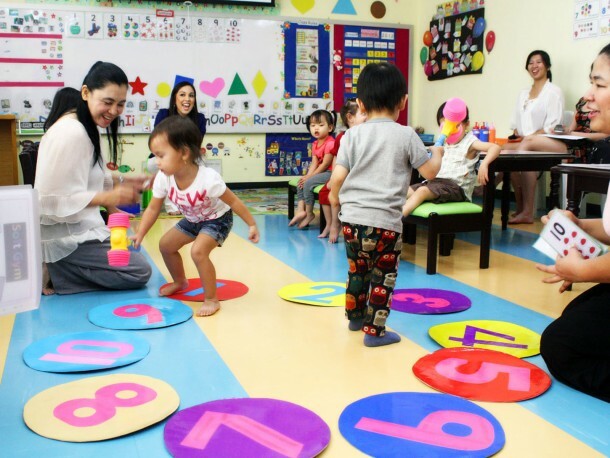 "The early years should be all about play, not concerned about whether or not they can count or know their letters." JF: Yes! What in the world does a toddler need with letters? A teen will find many uses for them but can't appreciate and explore the nuances of mud – unless they take a class and call it pottery! We may not be able to understand what a toddler sees in mud or banging pots or pulling everything off the table, but we need to trust that what they're finding so fascinating is what they need to explore. It is valuable to them. "My boys are 12 and 7. Today we went to the library. The only books my 12-year-old wants to read are graphic novels (Dragon Ball Z or InuYasha) but it's a start, and I try to keep him supplied. I collected books to start our unit on ants. The 6 year-old played a pinball game on the computer. They rarely pick any books to take home, just DVDs. So I pick the books and when we get home I ask them to sit and read with me. But they usually start talking or walk away. I try many different kinds of books. I did hold their attention long enough to get through a Redwall book a few months ago." JF: "Strewing" can be tricky. We want our kids to have more than, say, skateboarding, but the more we try to get them interested in other things, the more they resist because it feels like we're trying to get them to change. It helps to see strewing not as a way of getting them interested in other things but as providing opportunities. It's opening doors so they know these things exist, not ways of making them go through the doors. "Today my wife and I went to the library. The only books my wife wants to read are graphic novels (Dragon Ball Z or InuYasha) but it's a start, and I try to keep her supplied. I collected books to start our unit on gourmet cooking. She got home and answered her email. She rarely picks any cookbooks to take home, just DVDs. So I pick the cookbooks and when we get home I ask if she'd like to do one with me. But she heads off to do her own thing. Yes, I try many different kinds of cookbooks. I did hold her attention long enough to get thru a chocolate dessert cookbook a few months ago." If you could choose between a husband who saw you as not quite up to his expectations and a husband who trusted you and saw you as great just the way you are, which would you choose? We can do things that feel to us like "I want what's best for you" but to our kids (or partners!) it can feel like "You're not good enough as you are. I want you to change." So instead of seeing your 12-year-old "only" reading graphic novels, celebrate that as a genuine valid interest. If you liked a window box of herbs you grew, wouldn't it feel better if your husband reacted with "That's cool! I'm glad you're able to do something that you enjoy,"rather than "It's just a couple of plants but hopefully one day she'll be interested enough to grow a whole vegetable garden. "Even if he never said anything, his attitude would be there, creating a wall between you. "They rarely pick any books to take home, just DVDs." JF: This is akin to a husband saying "My wife never gardens. All she does is sew." I think they are picking up that you're so concerned that they're going to be stuck where they are unless you push, that they are grabbing onto who they are right now and holding tight. They can't move on unless they're allowed to be who they need to be right now. Books at one time were a gateway to the world. If you were stuck never moving more than 10 miles from where you were born, books were a way for the world to come to you. But, for that reason, and because schools rely so heavily on books, we've accepted without question that books are some ultimate resource for learning. But is that so? Why? People say it's because books force you to use your imagination, but visual artists will tell you words are a poor substitute for visuals. People didn't have all the wonderful story telling, world expanding resources we do now when books were the only way to get beyond the neighborhood. Treat visual media – and the Internet – as another resource, not as something less than (or better than) books. Some people learn better visually than they do by reading. Denying them their preferred medium is like forcing someone who learns best through books to watch TV. "Yes, I try many different kinds of books." JF: So rather than trying many different kinds of books try many different kinds of DVDs. Don't think in terms of what will be good for them. Think in terms of things they will like. Let them know through your actions that you see their interests as valuable. "I suggested we make an ant farm. I put it together with 2 plastic soda bottles. No one will put the dirt in or go get the ants." JF: This is like a husband who buys seeds and dirt to help his wife get interested in gardening, but grumbles that he has to do the hoeing and planting and weeding and watering because all she wants to do is make far more quilts than they have beds for. "My son is beginning to draw some anime. But I think its just because lots of other kids do." JF: Husband: "I think she's only interested in sewing because her friends are." Get your son books on drawing anime and manga! Find websites! What's wrong with being interested in what friends are interested in? That is following an interest. Regardless of why a child is interested, following that interest is never wasted. He may move on. It might lead in a different direction. But he will get something of value to him if he’s following something that interests him for whatever reason. "I ask about signing him up for stuff, boat building, mime, swimming, lots of stuff most kids would love, but he shoots down all the ideas. "JF: If you were dabbling in sewing because your friends made it seem interesting, would you appreciate your husband treating that interest as not worth noticing and showing you catalogs of classes in things that most wives would love? He's not most kids. He is who he is. And he's probably feeling like he's not as good as most kids because his interests are "just" such and such and not what he "should" be interested in. Unschooling won't look like standard schooling. Unschooling is more than likely going to look like playing, because playing is learning. They'll write comic books, collect and organize and play complicated card games. They'll make up convoluted stories with dolls or stuffed animals. They'll build things with Lego. They'll watch TV and play on the computer. Occasionally they’ll do something that looks like something done in school which is when new unschoolers will say "Look! It's working!" Well, it was working all along and they just didn't notice.